We posted the report from winner Annemiek van Vleuten's Mitchelton-Scott team with the results. 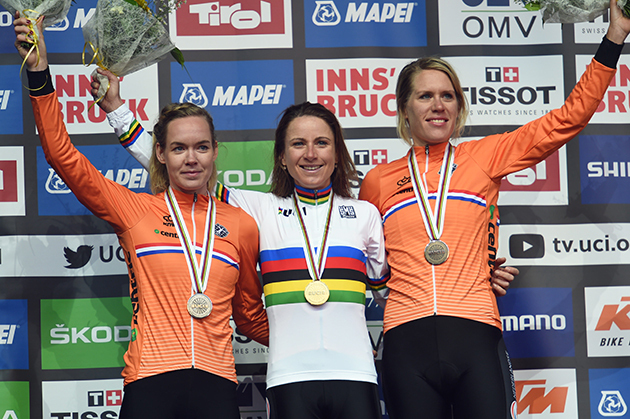 25 September 2018: Anna van der Breggen once again stepped onto the podium of a world championship event. For the sixth time in her career she earned a silver medal, this time in the individual time trial. Karol-Ann Canuel finished eighth. Van der Breggen was the 35th rider to take to the start. At that point, compatriot Ellen van Dijk (Team Sunweb) was in the hot seat after she had set the fastest time. However, it became clear that Van der Breggen was substantially faster on her ride. At the intermediate time split, she already had a 28-second advantage. Still, Van der Breggen thinks it’s the first part of the race where she might have lost the race potentially. 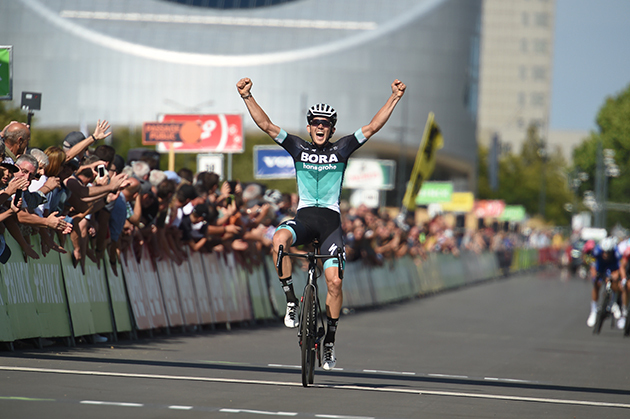 All Austrians extend their contracts with BORA – hansgrohe until the end of 2020. Their development in the past was more than promising and the team is happy to continue this successful story with them in the future. Jonathan Caicedo makes the move to the WorldTour with EF Pro Cycling in 2019. The Ecuadorian won Vuelta Colombia last month and finished second in Vuelta Asturias. Caicedo has raced for South American continental teams for the last four years. He most recently spent a single season at Medellin, the Colombian team that hails from future teammate’s Rigoberto Uran’s hometown. He joins the team on the recommendation from Carapaz. The Giro stage winner vouched for the 25-year-old.